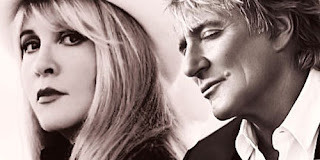 The Heart & Soul Tour draws to a close tonight as music legends Stevie Nicks and Rod Stewart take the stage at Madison Square Garden for their final performance together. Expect great things from this duo tonight as they belt out the rock n’ roll hits from each of their decades-long careers. Grab a seat (limited tickets are still available), but don’t sit down...this show is gonna move you, heart and soul!